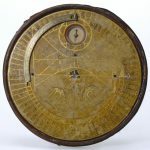 The base plate of this instrument, a combined qiblah compass and sndial which is known as the da’irat al-mu‘addil, is marked with the names of various cities. 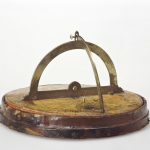 It also houses a magnetic compass so that, when aligned on the meridian, it gives the direction of Mecca, represented at the centre of the plate with a depiction of the Ka’bah and Maqam Ibrahim. 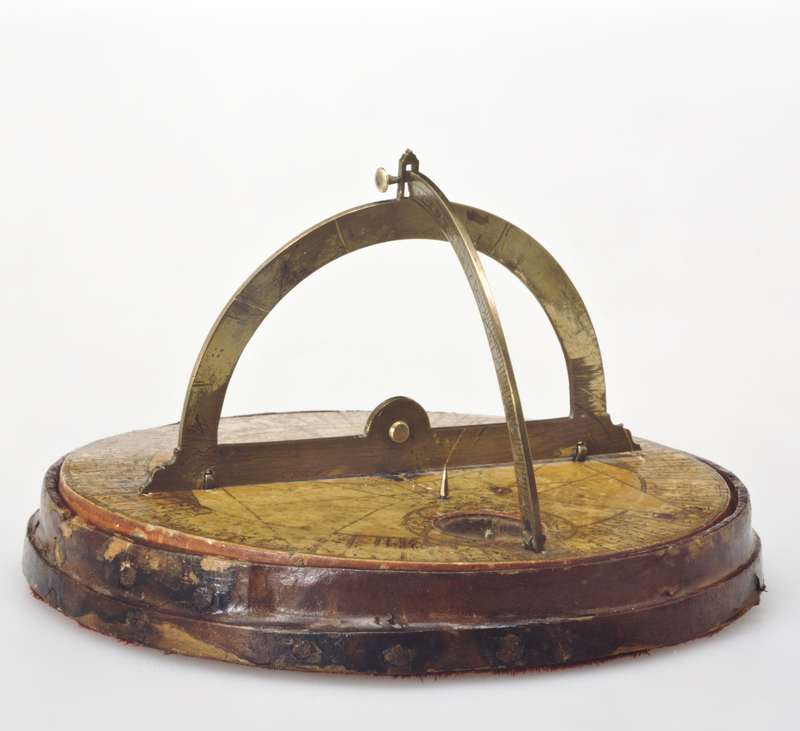 When correctly oriented, the instrument also functions as a sundial. F. Maddison & E. Savage-Smith, Science, Tools & Magic, The Nasser D. Khalili Collection of Islamic Art, volume XII, Part One, London 1997, cat.169, p.278–9.